Some tasty facts about the popular Thanksgiving treat. There are certain things that might come to mind when thinking about cranberries: A certain shade of red, a certain small size, and a certain kind of tartness. But these characteristics can differ among cranberry varieties—of which there are more than 100, according to Carolyn DeMoranville, an associate extension professor and station director at the University of Massachusetts-Amherst Cranberry Station. Some of that variation is obvious in the photo above. It depicts a bog containing eight different cranberry varieties, or cultivars, grown at Cranberry Station, which conducts research on water, pest, and nutrient management. The different colors stem from the plants’ genes as well as the berries’ stage of ripeness. · Many of the 100 varieties of cranberries are heirlooms—that is, native species that have been commercially cultivated since the 1840s. But “most of those are more like conversation pieces now,” says DeMoranville. Indeed, only about 12 varieties dominate commercial cranberry production, and they entail a mix of heirlooms and hybrids. (See a sample of heirlooms and hybrids in the picture below). · Cranberries contain pigments called anthocyanins that confer a reddish color. Different varieties contain these pigments in different proportions—hence their range of hues. · Cranberries are typically grown in bogs, because they need “either natural or constructed wetlands soils, acid soil, ample supply of fresh water, and temperate climate,” says DeMoranville. These days, however, commercial cranberry bogs are manmade affairs—and they’re not inundated year-round. Most of the time, growers irrigate the plants like other crops. They might flood the bogs to keep the leaves from drying out in the winter, and to facilitate harvesting. Indeed, cranberries grow inches from the ground, so to pluck them by hand is “pretty back-breaking,” says DeMoranville. Once a bog is flooded, growers use machines to knock the berries into the water, and then harvesters don waders and corral the berries into a concentrated area where they can be pumped through a suction line and into a truck. · The average pH of a cranberry bog is around 4.5, the same acidity preferred by rhododendrons and azaleas, which are cranberries’ distant cousins. Cranberries are more closely related to blueberries, which share the same genus. · The life cycle of a cranberry—that is, from the time a bud forms to the time its fruit is harvested—lasts about 16 months. “In the beginning, at about mid-July, a plant starts to initiate and form a flower bud for the following year,” says DeMoranville. Those flower buds produce berries in September of the following year. While new buds are sprouting, berries might be forming from the previous year’s buds. · More than 60 percent of cranberries produced in the United States comes from Wisconsin, according to DeMoranville. Massachusetts—part of the native range of the American cranberry—represents another 25 percent. New Jersey and coastal areas along the Pacific Northwest contribute the rest of the bulk of the U.S. harvest. · The standard measurement for cranberries is barrels, which harkens back to when cranberries were shipped in wooden containers. Today, one barrel equates to 100 pounds of weight. The heirloom cultivars in production today yield, at best, around 200 barrels per acre, amounting to about 9 million cranberries, estimates DeMoranville. Newer, hybrid cultivars have been known to produce 500-600 barrels per acre, says DeMoranville—the plants are bigger, with larger leaves, and they produce more berries that are bigger and heavier. 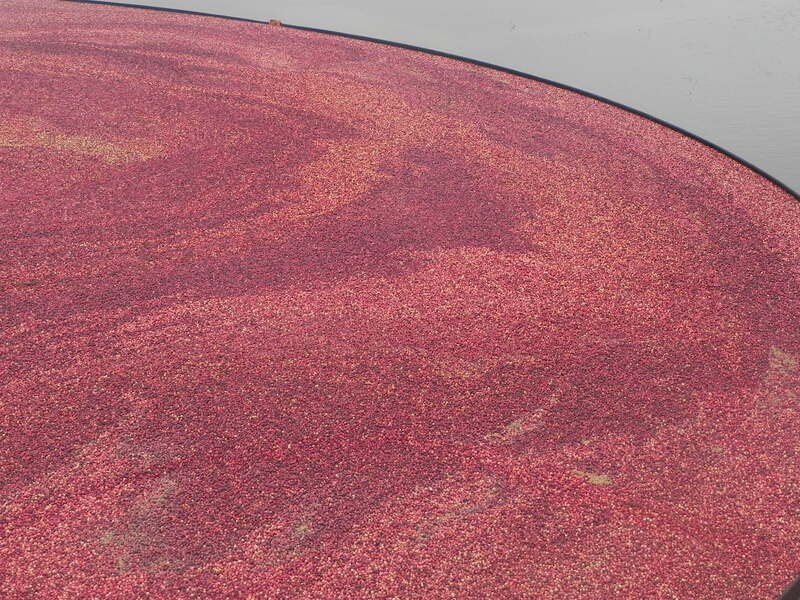 · It takes about three years to build a crop of cranberries to full production potential, says DeMoranville. There are some cranberry plots in Massachusetts that have been around for more than 100 years. Jeff Potter, author of "Cooking for Geeks," dishes up a few cooking hacks for Turkey Day.